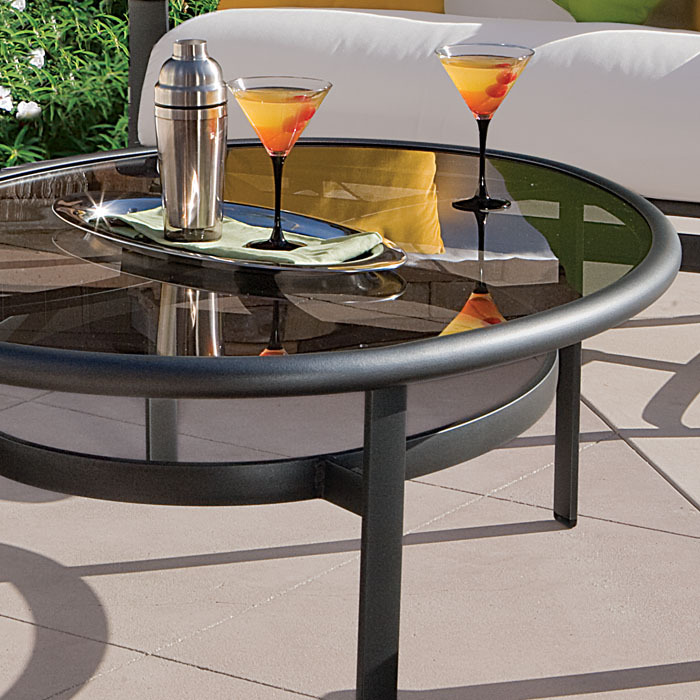 Tropitone® offers an expansive collection of durable, hand-finished tops for all our patio tables that are ideal for use in any outdoor patio furniture environment. Clear and Smoked Glass Table Tops are elegant and stylish, boasting crystal clarity. Obscure Glass Tops feature an attractive "hammered" texture, which helps minimize finger prints and hide unsightly dirt. Obscured, clear and smoked glass dining tables, coffee tables, and tea tables are perfect for the occasions when an upscale patio setting is desired. All Glass Table Tops are tempered for strength and safety.